Company Law Solutions provides an expert service advising on different classes of shares and the procedures for creating them. Most companies have only one class of shares, ordinary shares, but it is increasingly common for even very small private companies to have different share classes. This may be done for various reasons, such as to be able to vary the dividends paid to different shareholders, to create non-voting shares, shares for employees or family members, etc. A company can have what classes of shares it like,s and can call any class of shares by whatever name it chooses. Apart from ordinary shares, common types are preference shares, non-voting shares, A shares, B shares, etc (sometimes called "alphabet shares"), shares with extra voting rights (sometimes called "management shares"). The share class system is infinitely flexible. Different classes of shares, and the rights attached to them, should be set out in the company's articles of association. The new classes can then be allotted. Existing shares can be converted to different classes (conversion of shares). 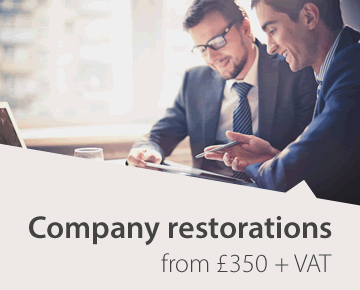 The Company Law Solutions website provides further practical advice on these areas. Any company can create different classes of shares by setting out those classes and the rights attached to them in the company's articles. If a company has only one class of shares they will be ordinary shares and will carry equal rights. Different classes of shares within a company can carry identical rights, but very often have different voting, dividend and/or capital rights. This is done for different reasons. Sometimes it is to attract a particular investor, e.g. by giving him or her preference shares. In other cases, shares are given to family members or employees so that dividends may be paid to them, because it may be a more tax-efficient means of making payments to them. In such cases, the owners of the company may want to restrict the rights attached to such shares, e.g. by making them non-voting, and perhaps by making it possible to take the shares back if circumstances change (perhaps by making them redeemable). In some companies, different classes of shares with the same rights are issued to different people, and the articles provide that the directors may vary the dividends between the different classes. Such shares rae often identified by a letter (so-called "alphabet shares"). The following are descriptions of some typical classes of shares. There are no legal definitions of such classes and shares with the same name (e.g. preference shares) will have different rights in different companies. Most companies have just ordinary shares. They carry one vote per share, are entitled to participate equally in dividends and, if the company is wound up, share in the proceeds of the company's assets after all the debts have been paid. Some companies create different classes of ordinary shares, e.g. 'A' ordinary shares, 'B' ordinary shares, etc. This is done to create some small difference between the different classes, e.g. to allow the directors to pay different dividends to the holders of the different share classes, or to create deadlock articles, or to distinguish between the shares so that different rules apply for share transfers, etc. There can also be ordinary shares in the same company that are of different nominal values, e.g. £1 ordinary shares and 10p ordinary shares. If each share has one vote (regardless of its nominal value) the holder of the 10p shares will get 10 votes for every £1 paid for them, while the holder of the £1 shares only gets one vote per £1. Non-voting shares carry no rights to vote and usually no right to attend general meetings either. Such shares are widely used to issue to employees so that some of their remuneration can be paid as dividends, which can be more tax-efficient for the company and the employee. The same is also sometimes done for members of the main shareholders' families. Preference shares are often non-voting. These are shares issued on terms that the company will, or may, buy them back at some future date. The date may be fixed (e.g. that the shares will be redeemed five years after they are issued) or at the directors' discretion. The redemption price is often the same as the issue price, but need not be. This can be a way of making a clear arrangement with an outside investor. These will usually have a preferential right to a fixed amount of dividend, expressed as a percentage of the nominal (par) value of the share, e.g. 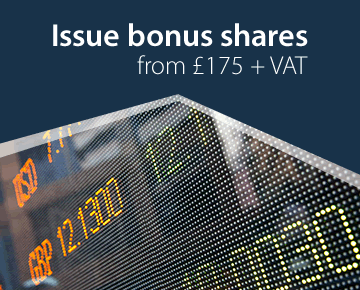 a £1, 7% preference share will carry a dividend of 7p each year. It is, however, still a dividend and payable only out of profits. The dividend may be cumulative (i.e. if not paid one year then accumulates to the next year) or non-cumulative. The presumption is that it is cumulative. The dividend is usually restricted to a fixed amount, but alternatively the preference share may be participating, in which case it participates in profits beyond the fixed dividend under some formula. Preference share are often non-voting (or non-voting except when their dividend is in arrears). They are sometimes redeemable. They may be given a priority on return of capital on a winding up. Often they will not be entitled to share in surplus capital (i.e. they only get their £1 back on each £1 share). Shares on which no dividend is paid until other classes of shares have received a minimum dividend. Thereafter they will usually be fully participating. A class of shares carrying extra voting rights so as to retain control of the company in particular hands. This may be done by conferring multiple votes to each share (e.g. ten votes each) or by having a smaller nominal value for such shares so that there are more shares (and so more votes) per £1 invested. 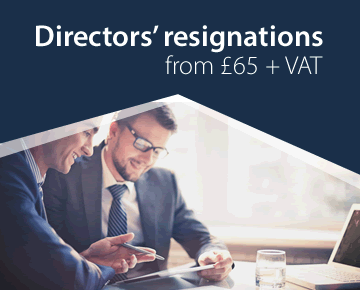 Such shares are often used to allow the original owners of a company to retain control after additional shares have been issued to outside investors. Sometimes three classes of shares are created with class 'A' having all the voting rights, class 'B' having all the dividend rights and class 'C' having all the capital rights. It is then possible for the different shareholders to have different percentages of the rights for these purposes. As a simple example, Shareholder 1 may have 40% of the voting rights ('A' shares), 50% of the dividend rights ('B' shares) and 60% of the capital rights ('C' shares). Shareholder 2 then has 60% of the votes, 50% of the dividends and 40% of the capital. In a company with two investors, A and B (perhaps a joint venture between two unrelated companies) the company may have two classes of shares, A shares and B shares. The shares may carry the same rights but are intended to protect both A and B in certain ways, e.g. the articles may provide for, say, two directors to be nominated by the holders of the A shares and two by the holders of the B shares, etc. (b)a special resolution (75% majority) is passed at a separate general meeting of the holders of that class to sanction the variation. CA 2006, sec633: The holders of not less than 15% of the issued shares of the class (being persons who did not consent to or vote in favour of the resolution for the variation), may apply to the court to have the variation cancelled. There is no statutory procedure for converting shares from one class to another. It may be done with the consent of all the shareholders affected. The safest course is to pass a resolution to which all the shareholders consent because, in practice, changing the rights on one person's shares may well have an effect, at least in practice on the rights of all the other shareholders. Such conversions are now relatively commonplace. More practical advice on this area can be found on the Company Law Solutions website. Care needs to be taken when creating different classes of shares and, indeed, in issuing shares generally. There have been many examples over recent years where shares have been created in order to save tax without taking proper advice as to the implications of issuing such shares to employees, family members, etc. That is not to say that such schemes should be avoided, only that they should be put in place only with proper advice. Company Law Solutions provides an expert service advising on different classes of shares and the procedures for creating them. We do not give tax advice.